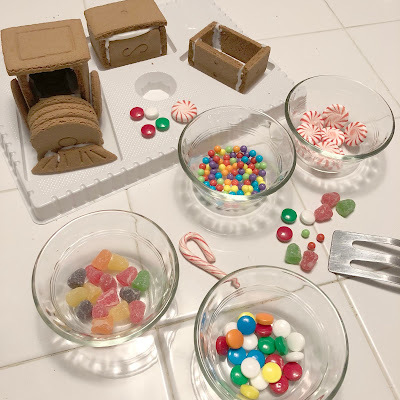 When it comes to Christmas there are a few things that I look forward to, one of them being decorating a gingerbread house. 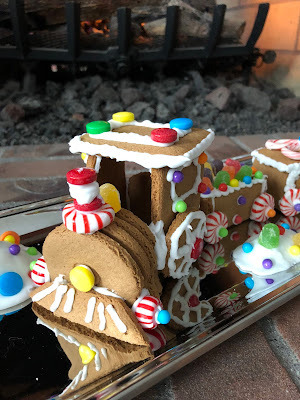 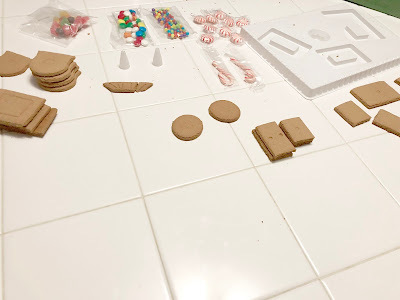 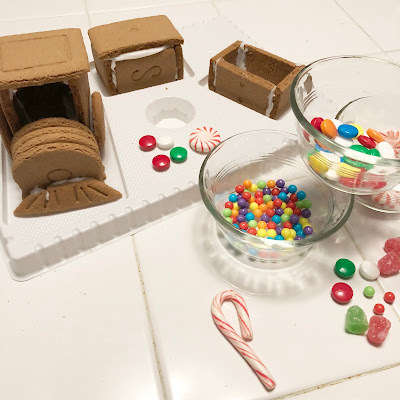 This year when I mentioned we should decorate a gingerbread house he immediately suggested doing a train, of course I wasn’t going to refuse that - I love trains. 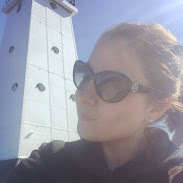 I have always decorated a traditional house, so steering from my norm was nice. The train was actually a lot harder to find than I thought it would be, but my mum actually ended up ‘saving Christmas’ and finding us one at CVS. When we started decorating the train he informed me that he had NEVER decorated a gingy house (train in our case) before. 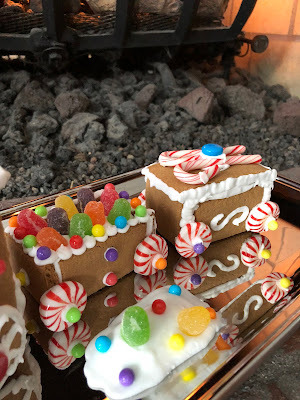 What the what! 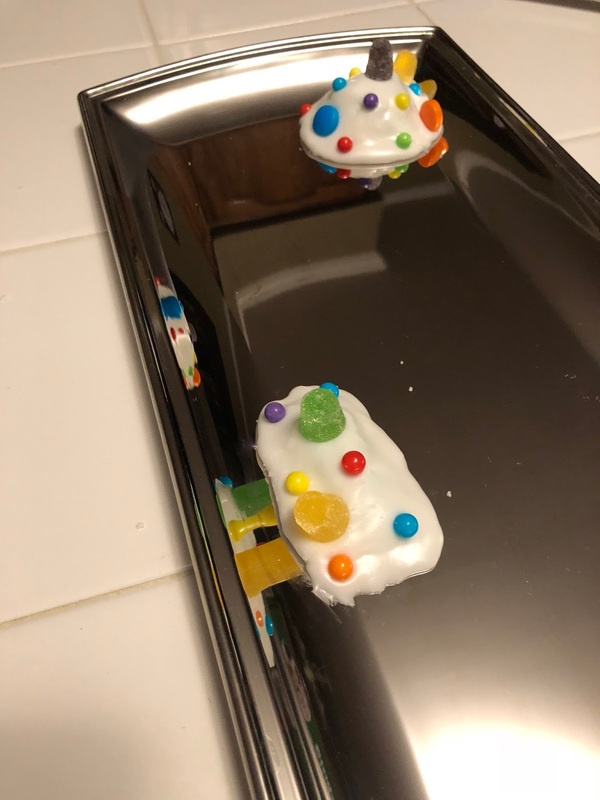 Don’t worry, I put him through the normal tortures of putting frosting on his nose, and of course cranking Christmas music. 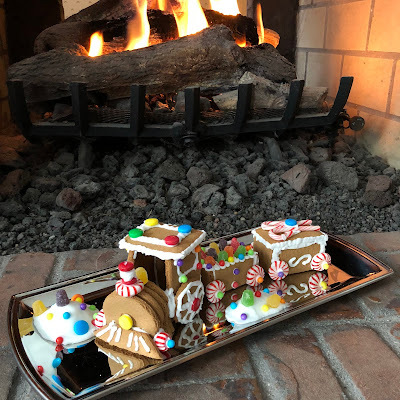 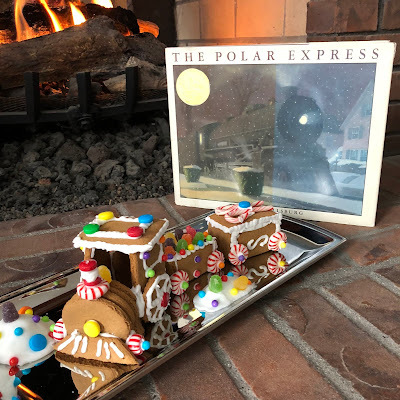 We worked perfectly as a team to create the cutest Christmas train, and thanks to his carpentry skills we even were able to jazz things up a bit more. Do you make a gingerbread house?